Pennsylvania driving while texting penalties underscore the political nature of criminal penalties in PA. 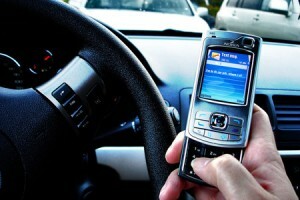 Under the new measure, drivers found guilty of driving while texting (DWT) would face a $50 fine. Compare this to the penalties for DUI and you will notice a huge discrepancy. HARRISBURG, Pa. — Pennsylvania is getting set to join more than 30 other states that ban all motorists from texting while driving.The state Senate on Tuesday voted 45-5 to approve an amended version of a bill it easily passed in June. The state House of Representatives overwhelmingly approved the bill on Monday. Gov. Tom Corbett is expected to sign the bill. The bill would make texting behind the wheel a primary offense so that police can pull over motorists for that violation alone.The penalty is $50 but police may not seize the cellphone or other device.However, talking on a cellphone without a hands-free device remains legal for motorists after the House removed a provision that would ban the activity. Nine states have such bans. Both acts are equally dangerous and can result in serious injuries and even death. However, there are powerful DUI lobbies like MADD and the PA DUI Association to push for more stringent DUI laws while there are powerful cell phone lobbies who push politicians to lighten cell phone related laws. Take a look at the video below and ask yourself is there really a difference?